With changing lifestyles and having to spend maximum time indoors, keeping the air quality good indoors is an important issue, these days. With air pollution on the rise due to extensive use of coal and cement to run the cities, unhealthy air nooks are easy to find. 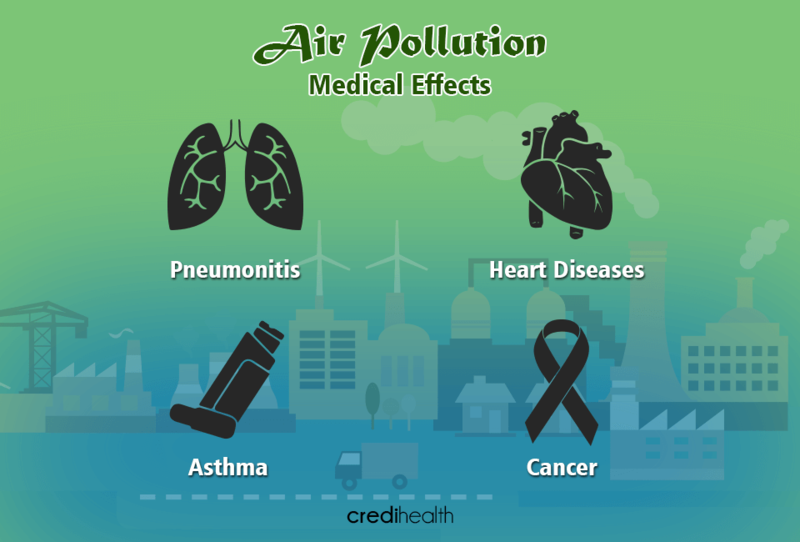 Air pollution at home is manageable by controlling the pollutants found on the property but dealing with pollution at the workplace becomes a task as managing the air quality falls in the hands of the management. Air Pollution at the workplace not only affects the health of the employees, but at the same time brings down the productivity. It affects the availability of the employee, thus improvement of air quality index at the workplace is a rising concern for the big firms. Adding to this many lawsuits have been launched by the public who has had drastic health effects due to pollution at the workplace. Dangerous toxins: Manufacturing and Auto Repair Centers, Chemical Plants and Hospitals deal with toxic chemicals for long hours. Proper disposal of the chemicals and waste materials along with usage based on guidelines for handling the chemicals is a must to keep the pollution due to toxins. Pollutants from outdoors: With offices located in urban localities and heavily polluted outdoor air, the indoor air also gets affected. This leads to high ozone levels in the office, along with pollutants from increasing traffic. Tobacco Smoke: Another major source of air pollution is the smoke generated from tobacco intake. Tobacco smoke contains 4000 types of carcinogenic contaminants. 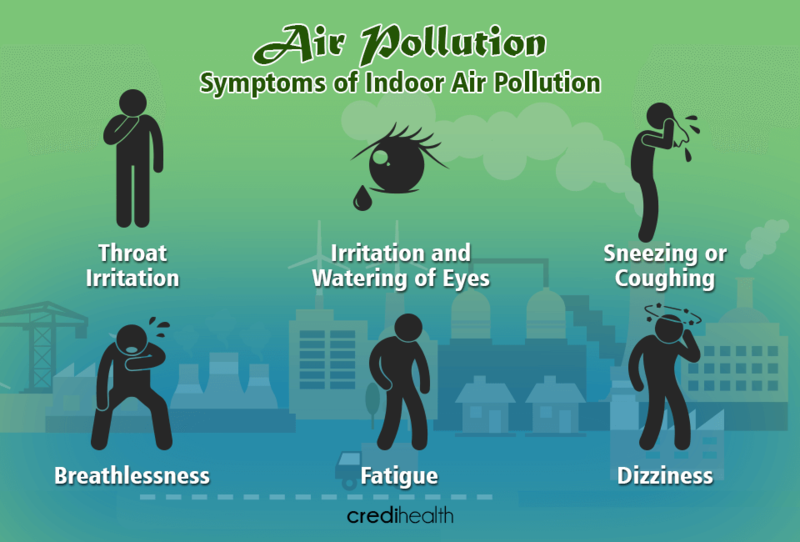 Other additional things: Other things that add onto the pollution in the office environment include mold ( due to leakages), radon gas ( in the basements) bio-aerosols( air borne diseases from sick people), volatile compounds like air fresheners, cleaners etc, pesticides and lead. Listed below are ways to enhance the air quality in the workplace, thus reducing the air pollution. Placing scraper floor mats helps remove soiling from shoes, thus the dust carried inside with each individual is reduced. All mats and carpets should be regularly cleaned. Microfiber mops and dusting cloths should be used to clean any dust left behind. Regular vacuuming reduces the dirt to 80% of the normal levels. It has been found that microfiber mops clean better than the traditional cotton ones. They remove up to 98% of contaminants from surfaces using only water. The furnaces and heating and cooling equipment should be regularly cleaned to avoid gas leaks and harmful particles from circulating around. A dehumidifier should be used to maintain the humidity levels in the 30-50% range, in order to keep allergies at bay. An air purifier can be used in places with heavy outdoor pollution and dust. Avoiding wall-to-wall carpets, reduces dirt, mites, molds, and pesticide residues. Follow regular cleaning schedules combining the above mentioned tips. It is important that employees stay healthy while at work. Laws and policies enforcing the same are a must in a country like India, where air pollution is on the rise. Many of these policies even though in place, are overlooked. It’s time to raise our voices to the problem and make a call to those in the position of power.